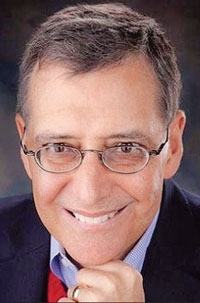 DETROIT -- U.S. Rep. John Campbell and Pulitzer Prize-winning journalist Paul Ingrassia have joined the faculty of the 2011 Automotive News World Congress. Ingrassia and Campbell will be part of a special session that examines the need for a national industrial and manufacturing policy and how such a policy might affect the auto industry in the post-bankruptcy era. They join Wilbur Ross, CEO of W.L. Ross & Co., and Lynn Tilton, CEO of the private equity firm Patriarch Partners. Campbell, a 55-year-old California Republican, spent 25 years in the retail automobile business. His dealerships in California's Orange County sold Ford, Mazda, Nissan, Saab and Saturn. The former certified public accountant was first elected to Congress to fill out a term in a special election in 2005. 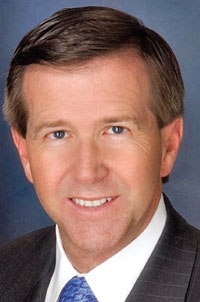 Campbell was re-elected to full terms in 2006 and 2008. Ingrassia, 60, began his career in journalism in 1973 at the Lindsay-Schaub Newspapers in Decatur, Ill. He joined The Wall Street Journal in December 1976, eventually serving as bureau chief in Detroit from 1985 to 1994. He later was president of Dow Jones Newswires. He retired in December 2007. In 1993, Ingrassia and an associate at The Journal, Joseph B. White, were awarded the Pulitzer Prize for their coverage of the 1992 management crisis at General Motors. They later co-wrote the book Comeback: The Fall and Rise of the American Automobile Industry. This year, Ingrassia's book Crash Course: The American Automobile Industry's Road from Glory to Disaster was published by Random House. The Automotive News World Congress will be Jan. 11-13, 2011, during media week at the North American International Auto Show in Detroit.